This data-driven site will be useful to a wide range of persons, from family historians searching for ancestors, to scholars of the whaling industry, to teachers and their students. Whale oil provided fuel for lighting and lubrication for the gears of the industrial revolution, until it was replaced by petroleum products in the mid-nineteenth century. In the United States the whaling industry ranked ninth in overall value to the economy at its height in the mid-1840s. The documentation of that industry is extensive; the data presented here combines information from many sources including logbooks, journals, ship registers, newspapers, business papers, and custom house records. 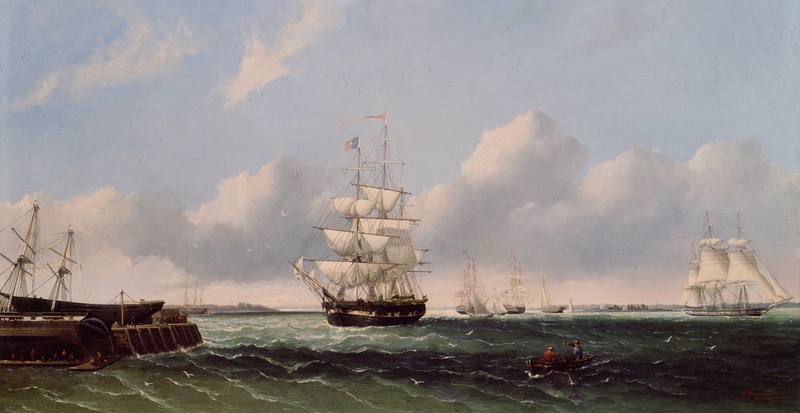 Available now: American Offshore Whaling Voyages, the British Southern Whale Fishery, British North American Whaling Voyages, and French Whaling Voyages. Within this data are links to crew lists, scanned logbooks, and scanned source materials. Coming next: Links to digitized logbooks and whaling artifacts in museum collections, whale distribution maps, and new ways to embed and share Whaling History content in projects, presentations, and exhibitions. If you're not sure where to begin, use the Search box in the banner at the top of any page. Enter a person's name, a vessel name, or any other words of interest and click the 'magnifying glass' icon. This site Search function knows about all of the databases and all of the web pages on the Whaling History website. It will return any results it finds from each one in a separate tab. WhalingHistory.org is a repository for data about whaling. For a general overview of whaling and whaling history, here are some resources to start your exploration. Each of them takes a different approach: a narrative, a collection of artifacts and maps, a timeline, a collection of topics, a work of literature. When the the main site search is not specific or flexible enough for your needs, use the data viewers. Each database has its own data viewer—a tabular display window to interact with the data—and all of the data viewers share a common set of features. At the heart of the current site are seven interconnected databases. 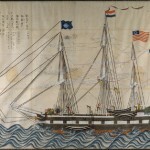 Three of them relate to American offshore whaling: one describing every known voyage from the 1700s through the 1920s, another transcribing location information from whaling logbooks, and the third containing crew lists for these voyages. 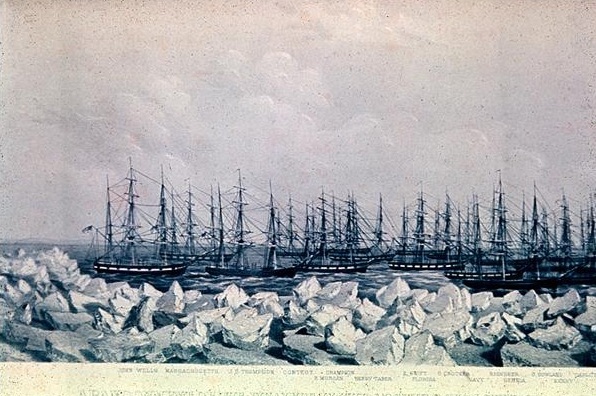 Two of the databases relate to the British Southern Whale Fishery (1775–1859): one describing every known voyage, whaling or sealing, to the south of Britain, and one containing the corresponding crew lists. 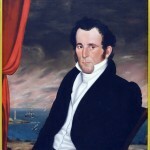 The sixth database describes whaling voyages from British North America, including Nova Scotia and New Brunswick from 1779–1845. And the seventh describes voyages from France. Sources. 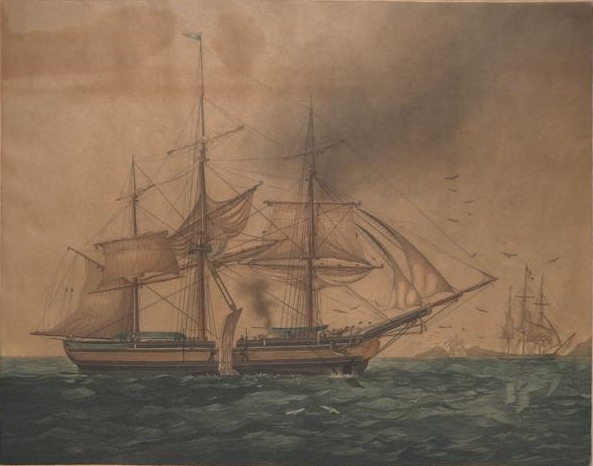 Investigate the sources referred to in creating the American, French, and British North American voyage databases. Links are provided to scans of the original source materials when they are available online. Logbook Repositories. 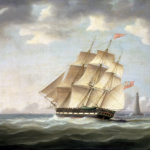 Search a list of libraries, museums and other repositories of American Offshore Whaling logbooks. Scanned Logbooks. Read more than 200 whaling logbooks that have been scanned. Women who went whaling. Find voyages on which the master’s wife sailed. Voyage Maps. View voyage maps drawn from logbook data. Please join us in telling the stories of Whaling History. Explore the voyage data. 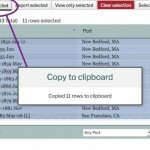 Each database has a data viewer that enables you to interact with the data, search for people, vessels and voyages of interest, and then print, copy, or export what you’ve found. Use our data. Most of the databases are available as downloads for use with other tools and systems. Submit corrections. The databases will be updated annually. Suggested additions and corrections are welcome. Contribute your data. We are actively interested in incorporating additional whaling history data sets. Please contact us. Link your artifacts. In the next phase of this project, museums, libraries and other institutions will be able to link objects in their collections to our databases, enriching their catalogs and connecting them to related objects elsewhere. Add your whaling history project to the Gallery. If you have used Whaling History data in a project, we would be interested in featuring your project in our Gallery. Please contact us. WhalingHistory.org has been greatly expanded in the past year, to include whaling data from more countries, links to scanned documents online, and a new global search. 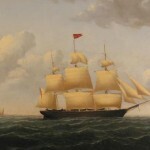 WhalingHistory.org is now hosting two important data sets documenting British whaling. The databases contain voyage and crew information for the British Southern Whale Fishery, which operated from 1775 to 1859. 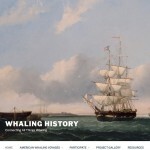 The Whaling History website opened to the public on March 6, 2018, connecting all things whaling for researchers, scholars, genealogists, educators and students. Our core databases are the work of Judith Lund and Tim Smith. The Whaling History website is a collaboration between Mystic Seaport and New Bedford Whaling Museum. Copyright 2019 New Bedford Whaling Museum and Mystic Seaport Museum. All rights reserved.